>> Minimalist Golf:Less is the New More? Seeing the words ‘minimalist golf’ in any of my golf posts might have you spraying your morning coffee all over the keyboard. After all, I am notoriously unfaithful to my clubs. As I sit here typing, I have a lovely set of Mizuno irons in a bag next to me. In another corner, I can see my single length set. A shiny set of Wilson blades is hidden behind a component build with graphite shafts. Two drivers are jostling for position in the gaming bag and two other driver heads are waiting for the right shaft. This really isn’t the set up of someone who is a minimalist! And yet I am curiously fascinated by the idea of a minimalist bag set up. In fact, even with all these clubs, I rarely have the full 14 in the bag. I prefer to carry most of the time (although age is pushing me more and more towards hand carts!) and a couple of clubs fewer makes for a lighter bag. However, by minimalist, I don’t mean taking out a club or two. I am thinking about anything from a half set all the way down to playing just a single club. Of course, I have done this before. 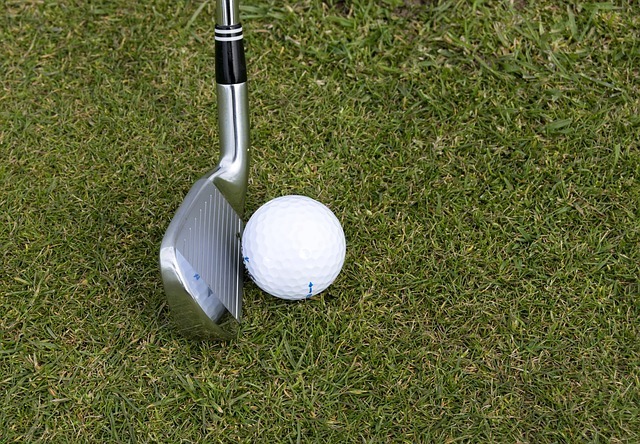 Throwing a half set in the bag is great for a quick nine holes. Taking a 7 iron and playing 3 holes after work is fun. I know plenty of other people who do this too. But a bit of digging has lead me on to whole groups who do this all the time! Yes, that’s right. There are people who see even 10 clubs in a bag as fairly excessive. They never venture beyond 5 or 6. So who are these people and why do they do it? Probably for the same reasons that are tempting me. We live in a complicated world and the temptation to find a simpler approach makes sense. Rather than worrying about whether this is a hard eight or a soft seven, I hit the eight. Why? well, there isn’t a seven in my bag! Likewise, it is fun to manufacture shots. Learning to hit little cuts with more club is a lot of fun. So what if the result doesn’t always work out exactly how you hoped? It hasn’t actually cost you anything except maybe a little dented pride. Score Better with Fewer Clubs? I think many golfers tend to get caught up in the score and, ironically enough, this can end up costing shots. This starts with the bag set up. I have often packed my bag and then started worrying that I don’t have a club for a particular gap. “What am I going to do if I have 110 yards in? Too far for a sand wedge, not a full pitching wedge. I NEED the gap wedge!” Really? How often do most of us actually hit the club bang on the number? How often do you need to actually know your distance within 5 yards outside of 80 yards or so? Honestly? There are a few other reasons why I like this minimalist approach. For example, you really get to know your clubs. When every shot from 100 and in is with the same wedge, you get nice and comfortable with it. Hitting knock downs becomes routine. Likewise at the other end of the bag. Having one hybrid covering your long irons really isn’t a problem. I pretty much always do this anyway. If I am pushing 200 yards from the green I really don’t have any business trying to get it close. Swinging a comfortable hybrid towards the fat of the green is a smart move. Cutting down on choices just lets you worry about putting a good swing on it and that tends to be a great way to score, or at least to avoid those blow up holes. As an example, at the top of my bag, I often go driver, 3 wood, 3 hybrid. There is certainly a theoretical gap there, especially as my 3 wood is a pretty strong 13°. In reality, it makes no difference and in fact I virtually never hit the three wood off the tee either:) I am either aiming for distance (driver) or putting it in play (hybrid). Just two shots to hit and as a result I hit them better. There are those who take this minimalist stance to extremes. Speed golfer generally only have half a dozen clubs in the bag, but they are running and want to save on weight. What about the single club specialists? These guys are on the fringe, even in the limited club fraternity. The obvious question is “Which club would you choose?” I mean, you need something that will actually get you down the fairway, so a hybrid or longer iron seems good, especially as you could probably put with it too. But what happens if you are short-sided? I shudder to think about the damage I could do trying to fan a five iron out of a green side trap! I mean, i am pretty good at knifing my sand wedge through the green and that is (supposedly) made for the job. There is a community of these lunatics dedicated individuals out there and there is even a world championship. You might be wondering where the fun is in seeing people hack a seven iron (or whatever) round in a hundred. Think again. The best players are doing this in or around par! How many of us have done that with a full set? Nope, me neither. when you get down to one club, you can actually have a lot of fun. Perhaps some of you read about Bubba Watson’s round with just a hybrid? In fat, he says that this is something he does quite a lot and it is one of the reasons why he is able to create all those spectacular shots. I have actually taken this a step further. what if the perfect club for a single club contest, doesn’t actually exist? Enter the ‘Frankenclub‘ Sitting next to my computer, I have my candidate for the perfect club. It is a big cavity-backed seven iron. Enough distance to get in on a fairway, enough loft for the fringe. But hold on-I got thinking (always dangerous) and decided that it wasn’t quite right. I need to be able to hit wedge shots with it right? So I pulled the shaft and put a wedge shaft in:) Now it was too light so the cavity has about a ton of lead tape in too. And given that it feels like a putter, why not give it a thick grip? It now has a jumbo grip with about 6 layers of tape. It looks like I am all set to join golf’s lunatic fringe:) Will this work or will it simply be a disaster? Honestly, I don’t know and it really doesn’t matter. Golf should be about fun and making this club has been fun. Hacking round the course with it will be pretty entertaining too, even if it makes for horrible golf. Maybe next year, I will go fully Tin cup and you will see me in the one club world championship? If you are interested in finding out a little more about this sort of golf, here are a few resources to check out. The Walking Golfer-a a great site about taking a more traditional approach to the game. This thread in particular has some good stories about the reduced form of the game. The Golfwrx forum is a great place to hang out and chat about golf and there are a few good posts on playing with fewer clubs. Here is one of them. Oobgolf often has some thought-provoking articles and this one on the one club challenge is no exception. Should You Really Listen to Your Fitter? The Best Golf Channel on Youtube?